One Pretty Little Box: Sweet Word Sunday: Arise! Today's sweet word is so fitting in many ways. On the sunrise of Easter morning and in my life of understanding. What does it mean? It means to emerge or become apparent. It also means to get up. It's a verb, which as we know is an action word. You cannot say the word arise and it have meaning. You have to put forth action for it to mean anything. On this Resurrection morning many Christians are celebrating the miracle of Jesus walking on earth after his crucifixion. He didn't hover. He didn't fly. He arose, and He walked. Forty days to be exact before his ascension into Heaven. But had he not arose, then prophesy wouldn't have been filled. Let's talk about you now. 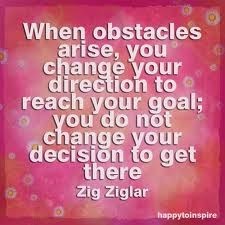 When you have a goal in place... nothing happens until you ARISE! When you want to go out and have fun .... nothing happens until you ARISE! When you decide to move, whether it be forward or backward.. again nothing happens until you ARISE! I get asked all the time why I do all that I do. There is never an easy answer to give because in reality I do what I do because I am driven with purpose and passion for those things. Passion cannot be explained, but if one does not arise and act on what they are passionate about they will never find their purpose in life. Then .... what you are facing is truly a life wasted. Resurrection is not about giving up on life, it is about arising from the things try to hold us back. I am thankful that Jesus went through all He did to give me a chance at eternal life. And I also thankful for the lessons I am taught daily in this life of learning how to arise. From my family to yours, we would like to wish you a very Happy Easter. May you have a time of laughter, hope, joy, and enlightenment!